LUX* Resorts & Hotels' (The LUX Collective Ltd.) unique collection of high-end luxury retreats are now available on iWTX. The partnership allows the luxury hotel group to reduce their reliance on manual processes currently used to manage their B2B segment and take advantage of the powerful automation and distribution capabilities offered by iWTX. "Through our partnership with LUX* Hotels & Resorts, the hotel chain will be able to manage both their static and dynamic relationships as they transition from manual to automated ways of working." said Faisal Memon, CEO & Founder, Illusions Online. "The iWTX platform allows The LUX Collective Ltd to break from the traditional limitations associated with static inventory and take full control of their pricing and availability in real-time" added Memon. iWTX integrates into the heart of the hotel chain's enterprise platform, enabling full automation of rates, availability, and reservation delivery for The LUX Collective's B2B business. "We are excited to work with IWTX on this project, as we expect it to deliver operational efficiencies in the handling of Tour Operator bookings for us and our partners, and an uplift in revenues based on the improved management of inventory and rates going forward. It is clear that automation and integration are the way forward in today's connected world, and iWTX enables more of that." stated Tobi Kuhlang, Head of Global Revenue Management, The LUX Collective Ltd. The resorts and hotels in the LUX* portfolio include LUX* Belle Mare, Mauritius; LUX* Le Morne, Mauritius; LUX*Saint Gilles, Reunion Island; LUX* Tea Horse Road Lijiang, Yunnan Province, China; LUX* North Male Atoll, Maldives; LUX* Bodrum, Turkey and LUX* Tea Horse Road Benzilan, Yunnan Province, China. LUX* Lijiang and Benzilan hotels are the start of a collection of six luxury boutique hotels along an exciting new circuit of distinctive stays allowing guests to discover the legends of the Tea Horse Road first hand. 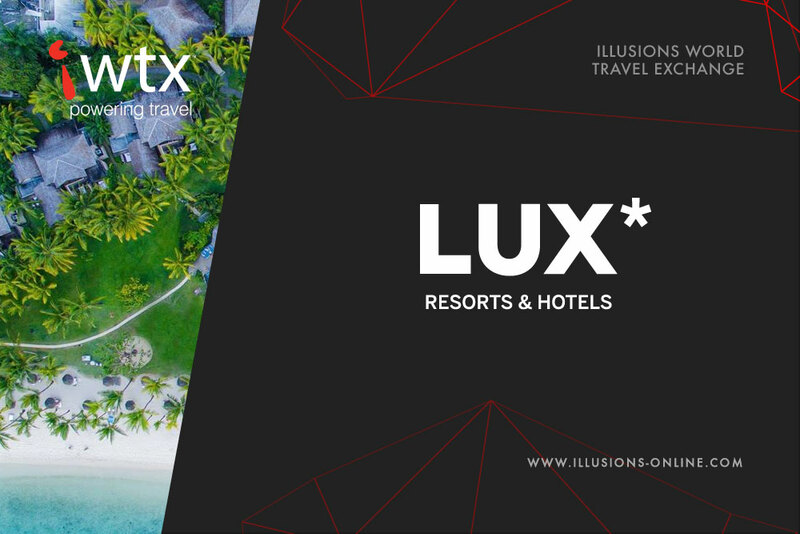 Other properties managed by LUX* Resorts & Hotels are Tamassa, Bel Ombre, Mauritius; Merville Beach, Grand Baie, Mauritius and Hôtel Le Récif, Réunion Island, as well as Salt of Palmar, Mauritius. The group continues its expansion to manage more hotels as part of that portfolio.